There is always much debate within organisations when it comes to deciding on the layout of office space, but increasingly the trend is very much for open-plan office spaces as opposed to small, individually enclosed private offices. There are new names emerging for open plan configurations – dynamic work platforms, collaborative work spaces, agile work platofrms etc but whatever you want to call it, there are usually two main reasons why companies opt for an open-plan office environment. One is that it can optimise the available space, thereby being more cost-effective in the long term. The second popular reason is that it can help to promote better employee communications and teamwork, improving productivity. So it’s easy to see why more and more businesses are choosing this inclusive, flexible and informal office fit out option. At Creative Space Services, we’re specialists in the design and construction of office fit outs so we’ve put together some tips for you to take on board if you’re considering introducing an open plan environment. It is worth thinking it through early on though as careful planning at the outset will definitely improve the ultimate outcome. All of these ingredients need to be planned and successfully integrated to create a comfortable and productive environment. When you are introducing a new working environment it’s an ideal time to thoroughly review how the existing space is used and how to optimise that space around the functionality required. A good starting point for clients to think about is the number of individual work spaces needed and the current use of meeting rooms. Of course we have a robust process to help guide you through these considerations and plan an effective solution. With open-plan offices there are no walls, none or fewer private offices and therefore less doors to knock on whenever your team needs to talk to a colleague. Essentially, an open-plan office space promotes interaction amongst colleagues simply because the lack of any physical barriers to communication means a much more fluid, informal communication structure. As with any scenario when dealing with change, moving to open plan office is likely to present some concerns from certain staff members, so it’s important that you address these. People can be concerned that an open and less formal environment will make for a noisier working area and the risk of the team being distracted from their work. Luckily these days we have a whole variety of ways to reduce noise to industry-standard acceptable levels that are extremely comfortable to work in. 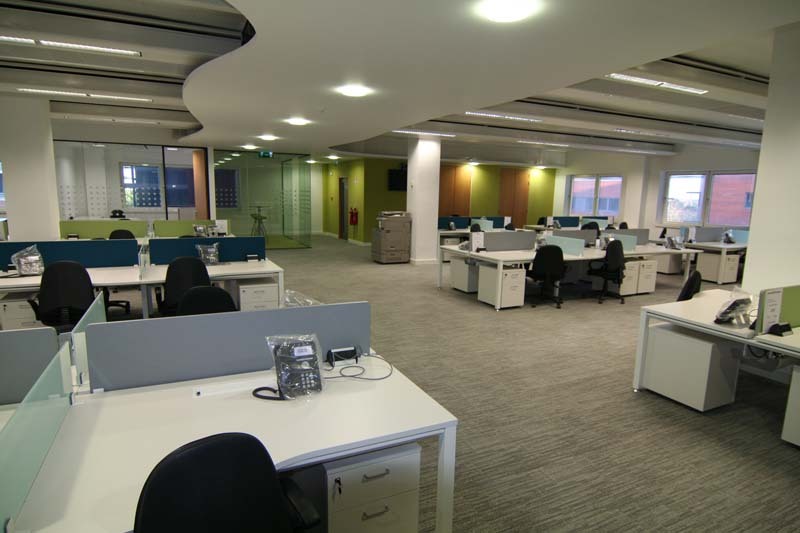 Another concern is that open-plan spaces remove privacy for staff; those who have been used to separate private offices, may well resist any attempt to remove the office walls. To a large extent this is a people-management issue and clear communications, plenty of advance notice and leadership within the organisation can alleviate staff concerns. However we also have new components, the latest technology and proven approaches for open-plan offices that address many of these historical concerns in a real and proven way. One popular feature of open plan office space, for example, is “Quiet Booths” which are often included in open plan environments so that staff can make private calls, conference calls or just take a little quiet time out. These small rooms or booths are generally fronted with glass and have no power or data connections so that they are not suitable for “setting up office”, as staff are encouraged to sit in the open plan area. However it’s a convenient facility that recognises the need for privacy from time to time. In terms of your costs, open-plan can be much more cost effective for a business; optimising the space around the needs of the business. I can also offer cheaper construction (less walls and units), less office equipment and furnishings through the sharing of resources, and less energy costs by virtue of the fact that there is improved air flow and shared lighting. 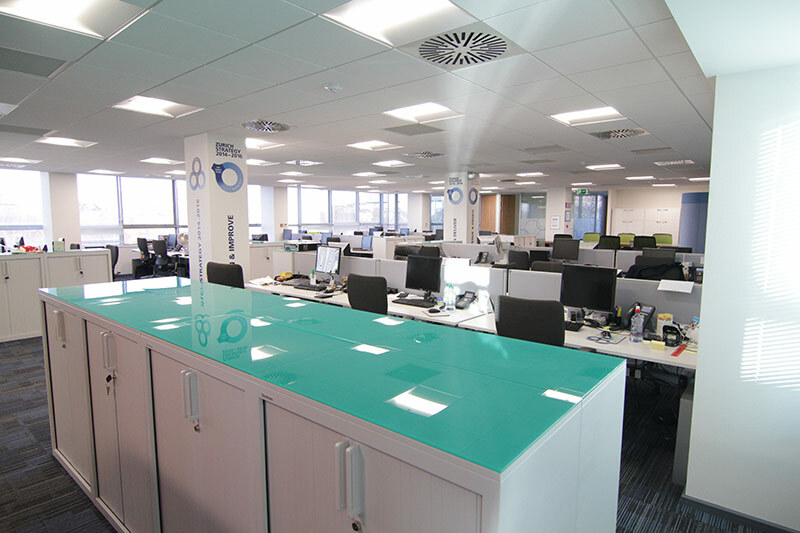 In one project we planned for a client recently, by removing 36 small offices we were able to add 59 new work stations, 12 new meeting rooms and 30 new Hot Desk benches – that’s a lot of additional capacity within the same floor space!